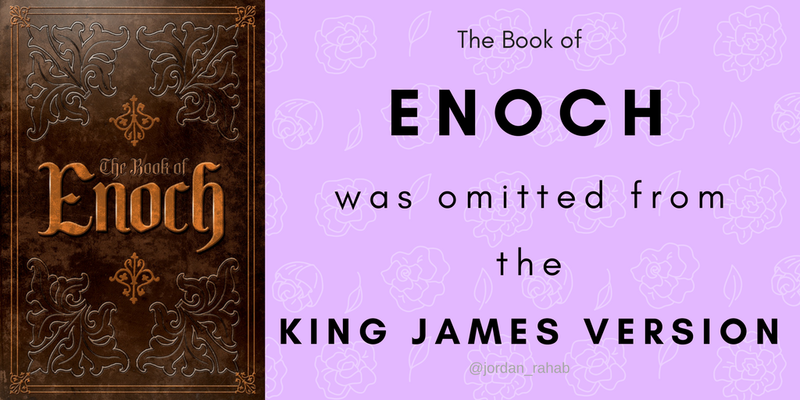 To determine 'why' certain books, including the book of Enoch, were omitted during translation of holy scriptures would require a platform to itself. Of course, there was a motive, but this article is not dedicated to that focus. This article intends to share with you the fascinating entries found in Enoch's scripts. While there are many skeptics who don't believe the book of Enoch deserves any attention, keep in mind that there are also skeptics who don't believe the Bible deserves any attention. Mostly because of the omission of relevant books and the changing of selected information throughout its pages. Nevertheless, you have to pick and choose your battles. And I choose to focus on 'seeking and finding the hidden mysteries of truth' that can literally turn up anywhere. Therefore, before writing something off as 'suspect' without reading and researching it would be doing my own quest for salvation a disservice. "Hear this, you elders; listen, all who live in the land. Has anything like this ever happened in your days or in the days of your forefathers?" "Tell it to your children, and let your children tell it to their children, and their children to the next generation." Here, we're told to tell our children, and for them to pass it on to their children and so on. This command is nothing new. The Most High encouraged Moses and other of His chosen workmen to do the same. Now, we can conclude that this ordinance is important because the 'locusts' or fallen angels have 'eaten' or taken away parts of the truth. Verse four in the above reference, details four different occasions of the locusts eating. Eating what? And why was this listed directly after encouraging each generation to tell their children? Tell their children what? Divine truth. It's clear that giving a verbal account is important because, with Satan in temporary control of earthly affairs, the Divine truth is one of his primary targets. According to the scripture, he has consistently eaten or taken away elements of truth that are necessary for our salvation. Therefore, it is up to each generation to make sure their children are enlightened so that darkness does not destroy the people. "Blow the trumpet in Zion, declare a holy fast, call a sacred assembly. Gather the people, consecrate the assembly; bring together the elders, gather the children, those nursing at the breast. Let the bridegroom leave his room and bride her chamber.
" Let the priests, who minister before the LORD weep between the temple porch and the altar. Let them say, "Spare your people, O LORD. Do not make your inheritance an object of scorn, a byword among the nations. Why should they say among the peoples, "Where is their God?" "I will restore the years the locusts have eaten --the great locust and the young locust, the other locusts and the locust swarm --my great army that I sent among you." Here, we understand that after prayer and fasting and turning to the Highest in repentance, He 'restores what the locusts (the fallen angels He cast out of Heaven onto the earth), have eaten'. This means He restores Divine Truth. Wherever the truth was hidden, it is now being revealed. It is up to us to seek, knock and ask. Now is the time to examine all things related to the truth, pray for the ability to discern between truth and falsehood and rejoice in YAH's faithfulness.